ALAMEDA, Calif. (KGO) -- A special honor was given to Japanese-American soldiers responsible for one of the bravest rescues during World War II. 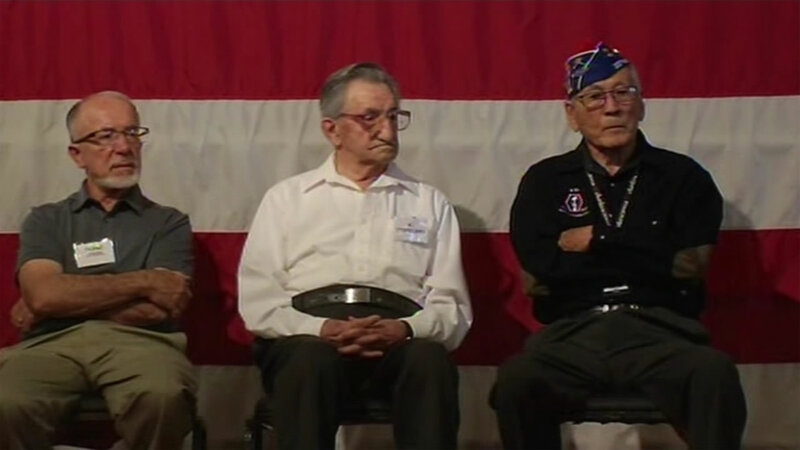 On Saturday, ABC7 News was at the USS Hornet Museum in Alameda as living members of the 442nd Regimental Combat Team shared their stories. The group orchestrated the rescue of another group of soldiers from the Germans. Two previous rescues of the so-called Lost Battalion had failed. "I don't know how we did it, but somehow we persevered," veteran Lawson Sakai said. "It's a great story and I think to hear it live from a person who went through it is really a special opportunity," attendee Bruce Kaneshiro said. The 442nd become one of the most well-respected and most decorated fighting units.